This year the Philippines will celebrate its 123rd year of Independence. On Sunday June 12, 2011, we are organizing a big running event in line with the national day of celebration at the Bonifacio Global City. We have come up with an activity that will unify Filipinos in their appreciation of national independence and sovereignty. Filipinos shall have a (half) marathon race as venue to demonstrate their love of country. 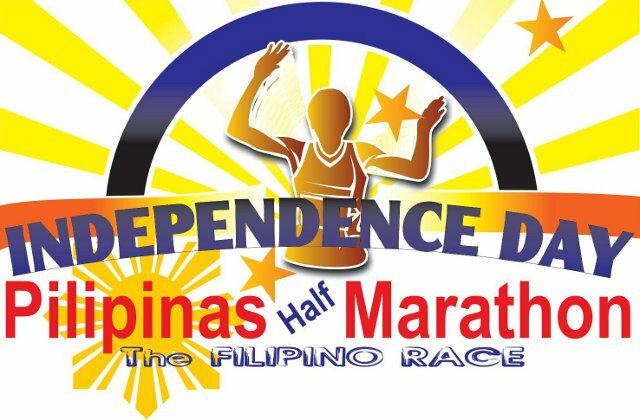 The event dubbed as the 2nd Independence Day Pilipinas Half Marathon: The Filipino Race. The Filipino Race has four (4) race distances: 3 Km, 5 Km, 10 Km and a half-marathon that will start and finish at the 29th Street of Bonifacio Global City. All finishers of the half marathon will receive commemorative medals and the top 100 finishers of the 10km, 5km and 3km will also be awarded medals. 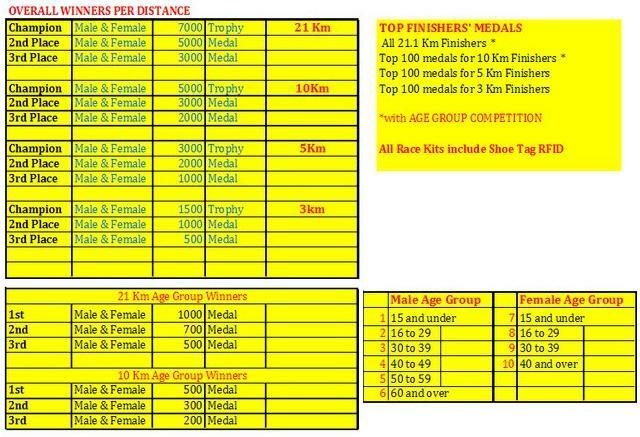 There will be 10 age group competitions and the Top Three (3) runners of each age group will be awarded cash prizes and medals. Age Grouping are as follows: MALE a) 15 years old and below, b) 16 to 29 years old, c) 30 to 39 years old, d) 40 to 49 years old, e) 50 to 59 years old and f) 60 years old and over; FEMALE a) 15 years old and below, b) 16 to 29 years old, c) 30 to 39 years old and d) 40 years old and over. The organizers, in coordination with H.E.L.P. (Hope for Economic Liberty and Peace) Foundation, will also give educational scholarships to at least ten deserving students from the proceeds of the event. 3 The course marshal and race officials under the guidance of the Race Director will have the ultimate authority and final decision for any violations of the rules and regulations. Participants are requested to heed the directions and instructions of all race officials. Runners should run on the inner right side of the road unless otherwise told by the race officials. 12 FINALLY, it is of the best medical advise to STOP if you feel any discomfort, as there will be other races you can join in the future. Do not push limits to the extreme. Enjoy your run. Good Luck! Congrats to those who won our Thermos Bottle Coolers! Anyway, please follow us on Twitter (http://www.twitter.com/ThermosPH) and like us on Facebook (http://www.facebook.com/ThermosPH) for more freebies and prizes for all ye running enthusiasts!